railroad tracks which run behind it today. To draw off the Confederate cavalry and open the door for a general movement to the James River, Union General U.S. Grant ordered Maj. Gen. Philip Sheridan to make a diversionary raid toward Charlottesville. He was to take two division of cavalry and tear up as much of the Virginia Central Railroad as came within his grasp, then push on to Charlottesville and unite with Major General David Hunter, and 18,000 men. Together, the two would advance on Richmond from the west, while U.S. Grant enveloped the city from the south. after the war. During the war it would have been on the viewer's right. Sheridan left the Army of the Potomac on June 7th and headed west up the North Anna River toward Trevilian Station (The town is now called "Trevilians" or "Trevillians"). He took with him the mounted divisions of Brigadier Generals Alfred T.A.Torbert and David McM. Gregg, totaling 8,000 men, 24 guns, and 125 wagons. Confederate General Robert E. Lee sent the cavalry divisions of Major Generals Wade Hampton and Fitzhugh Lee in pursuit of Sheridan on June 9th. Hampton had overall command of the 5,000-man force. 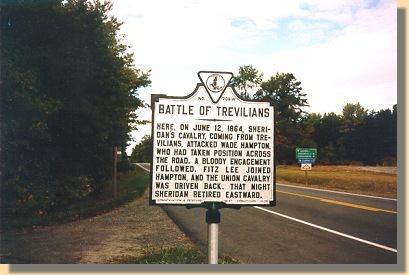 Traveling by a shorter route than that used by Sheridan, Hampton reached the Trevilian area on June 10, one day ahead of the Union column. Fitzhugh Lee bivouacked at Louisa Court House, a few miles east of Trevilian. Rather than stand on the defensive, Hampton planned to attack the Federals at their camp , located at Clayton's Store. 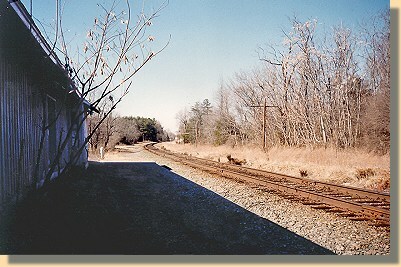 Two main roads ran from Clayton's Store to the railroad. 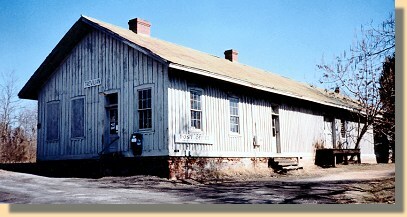 One met the railroad at Trevilian Station and the other met the railroad at Louisa Court House. Thick woods lay between them. Hampton took the first road, and Lee the second. Early on June 11th, Hampton engaged portions of Torbert's division and pushed him back up the road toward Clayton's Store. At the same time, Fitzhugh Lee encountered Gen. George A. Custer's brigade on the Louisa Court House road. When Lee fell back after contacting Custer, he created a dangerous gap between himself and Hampton. Custer exploited the gap and captured Hampton's wagon train, 800 horses, and three cassions parked behing the Confederate lines. When Hampton learned that Custer had gained his rear, he ordered Gen. Thomas Rosser's brigade to attack Custer. Rosser's charge sent the Union horsemen reeling. Other Confederate brigades joined the attack, forcing Custer to give up his spoils and take a defensive position around Trevilian Station. To relieve Custer, Sheridan attacked Hampton forcing the Confederate general to retreat to a point several miles west of Trevilian station. Fitzhugh Lee meanwhile fell back to Louisa Court House. During the night of the 11th, Hampton posted his division in an angled line covering the railroad west of Trevilian. The railroad embankment covered his left flank while open ground in front of his position offered an excellent field of fire. Fitzhugh Lee joined Hampton by noon the next day, reinforcing his right flank. After spending the morning of the 12th destroying five miles of railroad track, Sheridan moved out to attack Hampton. Time and again the dismounted Federals charged the Confederate line only to be repulsed. However, Hampton's situation was getting critical. He was nearly out of ammunition, Union artillery raked portions of his line, and Union sharpshooters picked off officers and enlisted men from the vantage point of a barn situated near the front. However, the Confederates persevered. By late afternoon additional ammunition reached the front. At the same time, Confederate artillery silenced the offending Federal battery and set fire to the barn that housed the annoying sharpshooters. An attack by Fitzhugh Lee against Sheridan's right flank late in the day, brought the battle to a close. At 10 p.m. Sheridan broke off the fight and returned to the Army of the Potomac, having failed to unite with Hunter or inflict any permanent damage to the railroad. Sheridan lost 735 men; Confederate losses, although not precisely known, probably numbered around 1,000. This was one of the bloodiest cavalry battles of the war.